(91outcomes.blogspot.com) -- Veterans of the 1991 Gulf War in northern California suffering from Gulf War Syndrome and Fibromyalgia are needed for a clinical trial of a new drug that may help alleviate their symptoms, including pain, unrefreshing sleep, and debilitating chronic fatigue. The study is a collaboration between Stanford University School of Medicine and the American Fibromyalgia Syndrome Association, and focuses on a treatment trial of Low-Dose Naltrexone (LDN), which may have a role in regulating natural pain-reducing systems. The study is currently recruiting Gulf War veteran volunteers. Participation will cover 22 weeks, with 12 laboratory visits and a daily log to measure symptoms. 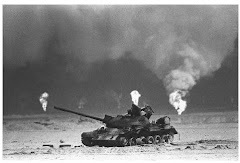 Study participants must be suffering from moderate to severe fibromyalgia -- one of three conditions for which U.S. veterans of the 1991 Gulf War can receive presumptive service-connection -- or the chronic multi-symptom illness commonly known as Gulf War Syndrome. Study participants must be no older than age 65, can be male or female, must not be currently taking any opioid analgesic (pain medication), must not be pregnant or planning on becoming pregnant, and must not have an allergy to naltrexone. The study is a a placebo-controlled, double-blind, cross-over drug trial. It was funded through the peer- and Gulf War veteran-reviewed Gulf War Illness Research Program (GWIRP) of the Congressionally Directed Medical Research Program. 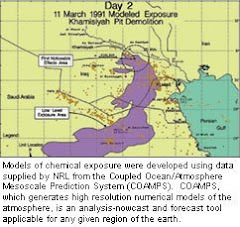 In order to participate, Gulf War veterans near Stanford, California should contact the LDN study coordinator, Jarred Younger, at mailto:LDN_Younger%40stanford.edu?subject=NCT00568555,%20SU-10232007-756,%20Effects%20of%20Low%20Dose%20Naltrexone%20in%20Fibromyalgia.